Summer is officially over and fall is just right around the corner, And I can not wait! Fall is by far my favorite time of year for a lot of different reasons. A few being the fashion, golden leaves and Halloween. With Fall and Winter coming after, your skin and lips tend to dry out in the cold weather. So with that you'll be needing the perfect lip balm. And I have two to share with you. Ones more affordable than the other but I love them both equally. 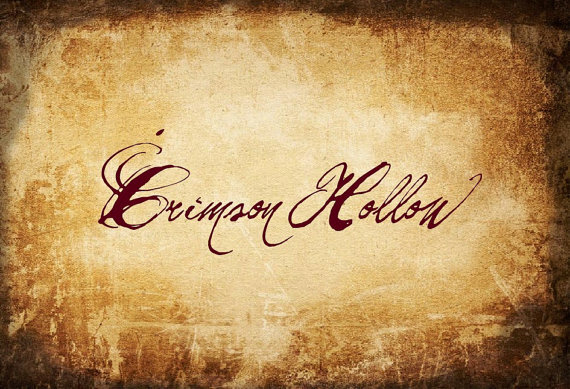 And highly recommend checking them out if you haven't already. 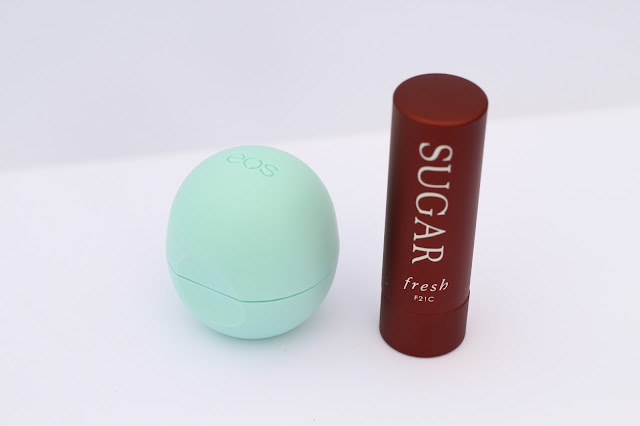 EOS Lip Balm in Sweet Mint. It's by far my favorite mint lip balm. First off it's cheap, Depending upon where you buy it you'll pay no more than US $4.00 You get a lot of product for the price. They seam to last forever. The mint leaves your lips feeling fresh and has a slight tingle. So if you don't like that feeling you might not like this lip balm. 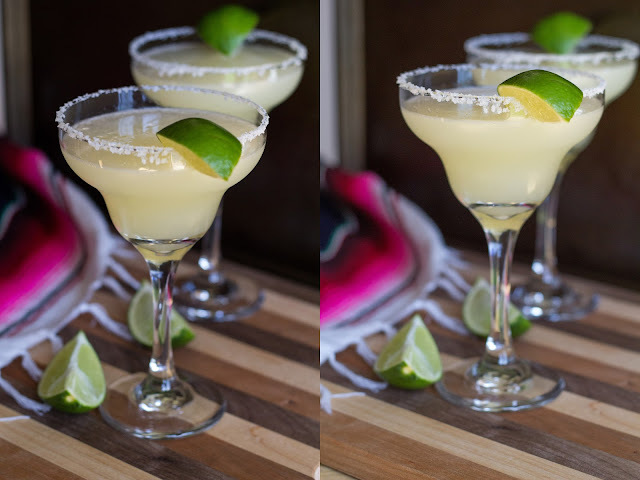 It doesn't leave a funny taste which is very nice. It contains shea butter and jojoba oil. If you don't like Sweet mint it comes in a hand full of other scents. Sugar lip treatment by Fresh. It's just what the name says it's a "Treat", this is not a product I always have on hand because of the price and how fast I go threw it. Its so soft that when I apply it I normally use more than I need. 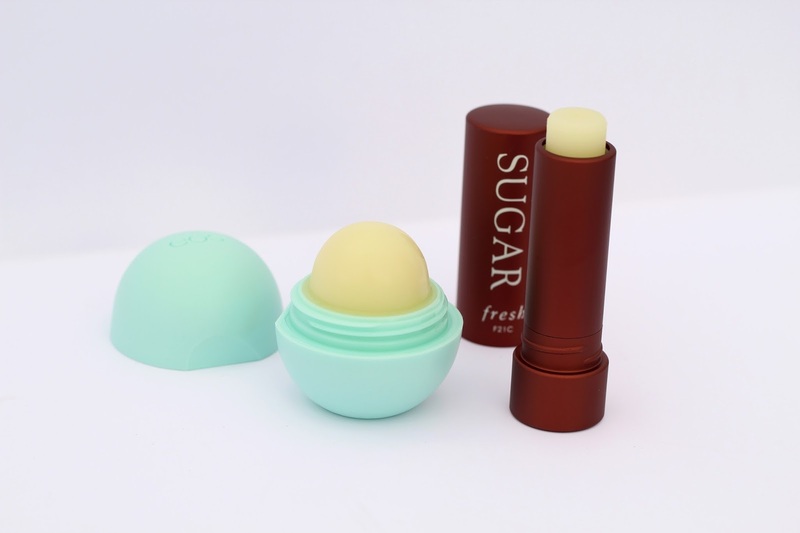 Its more creamy feeling than the EOS lip blam. The scent on this is a sweet sugary smell with a hint of lemon (or that's what I smell, anyways.) This also comes in tinted shades but I prefer just the plain lip balm. It's a wonderful product I love everything about it. The only thing I don't like is how fast I use it up and the price. But if you are looking for a really nice lip product and you don't mind spending a bit more than this is for you. 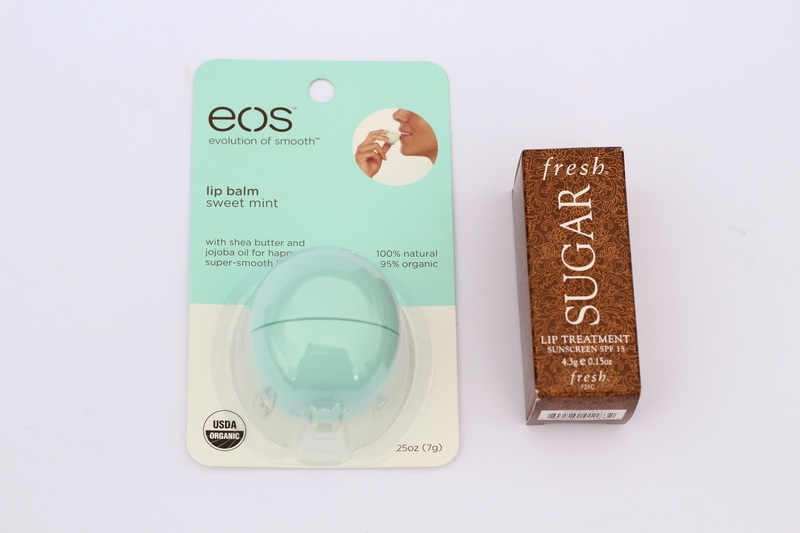 If you'd like to try either of these lip balms, The EOS can be bought at most Drugstores, and places like Walmart & Target. And Fresh is available on-line & in-store at Sephora. What is your favorite go to lip balm?